Will Accessible Tourism soon become the largest travel market in the world? 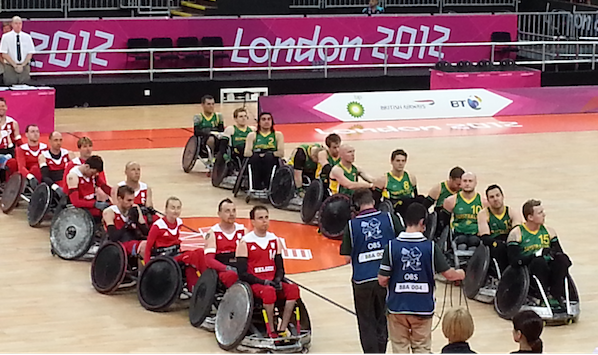 A year ago last week, I was lucky enough to attend various events at the Paralympics in London. Along with much of our population I was swept along with the spectacles and passion, and loved everything right down to the way Channel 4’s ‘superhumans’ advert helped us see these extraordinarily talented athletes in a new light. All the same, and as I wrote a few weeks ago, I don’t think enough about accessibility issues when it comes to travel. However, writing a fortnightly blog for WTM Responsible Tourism, and knowing accessibility is one of WRTD 2013’s main themes, has made me read articles I’d never typically encounter. And today, it has shifted how I see accessible tourism and influenced my attitude to responsible tourism as a whole. This shift in understanding has three stages. First: the ‘Obligation’ stage. This is the mindset where business owners feel obliged – generally by legislation – to fit disability access technologies and adaptations into their properties. For years this was also the prevalent attitude when it comes to environmental technologies – people grudgingly recycling, fitting ‘expensive’ low energy lightbulbs etc. We add on whatever is necessary as an afterthought. It’s less about being responsible and more about avoiding risk and regulation. The second stage is ‘Opportunity’. This month in the UK, the minister for Disabled People Esther McVey has written to councils warning they risk missing out on an £80 billion market in accessible tourism if wheelchairs are restricted from the coast. With over 10 million disabled people in the UK, it’s good business to make as many services as possible accessible. Worldwide, the accessible tourism market is 1.3bn people, which when their friends and family are considered, increases to a market of 2.2bn people. Together they control over US$8 trillion in annual disposable income. This is not a niche. It is also growing and may soon be the biggest single section of the market – simply because our population is ageing. McKinsey predicts that by 2015 the baby boomer generation will command almost 60% of US wealth and in the travel sector, boomers will account for over 50% of consumption. Now consider this: over 40% of these baby boomers will be retiring with some form of disability, which increases the value of this sector alone to over 25% of the market by 2020. How might attitudes towards accessible services change when the market includes our parents, our older friends, and before too long, ourselves? Welcome to the third phase – ‘Ordinary’. We are seeing this tipping point with the eco-lightbulb – no longer the exception, but now the ‘ordinary’ bulb. Recycling is almost just what you do. At a business level, responding to issues like climate change and water stress has moved in little more than a decade from being the job of one marginalised CSR officer, to an opportunity to capture a rapidly growing market, to now influencing how companies and economies are designed – embracing concepts such as the circular economy, biomimicry and the triple bottom line. He and others say we need to approach projects from the outset using the principles of what is known as ‘universal design‘, where we design our lodges and buses and tours inclusively, so the maximum number can benefit. Rather than one special table at a picnic site adapted for wheelchairs, you ensure that all tables are designed to allow wheelchairs to roll under one end. It needn’t be a difficult journey. It just involves taking a different approach. I believe this is the mindset we should aim for across all forms of responsible tourism – good, fair, sustainable behaviour needs to be presented not as niche, but as norm. Of course we are energy efficient. Obviously our staff are fairly treated, our communities supported. Let those who choose not to be responsible explain what makes them so unique that an exception can be made. Not the other way round.